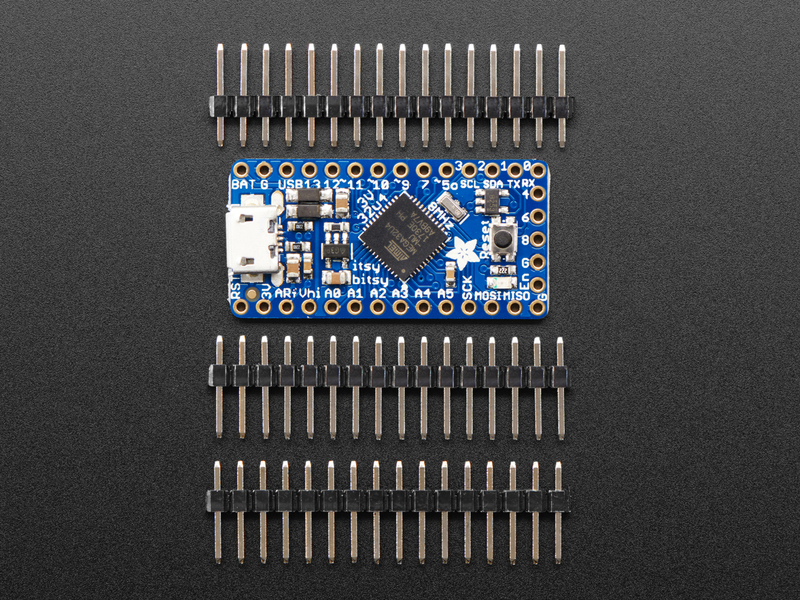 Itsy Bitsy is only 1.4" long by 0.7" wide, but has 6 power pins, 6 analog & digital pins and 17 digital pins. 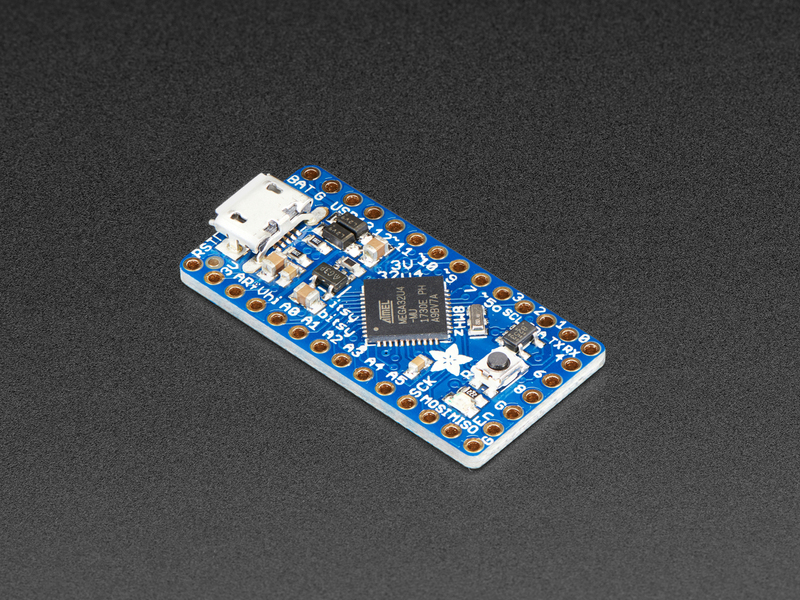 It packs much of the same capability as an Arduino UNO or Feather 32u4. So it's great once you've finished up a prototype on a bigger Arduino, and want to make the project much smaller. 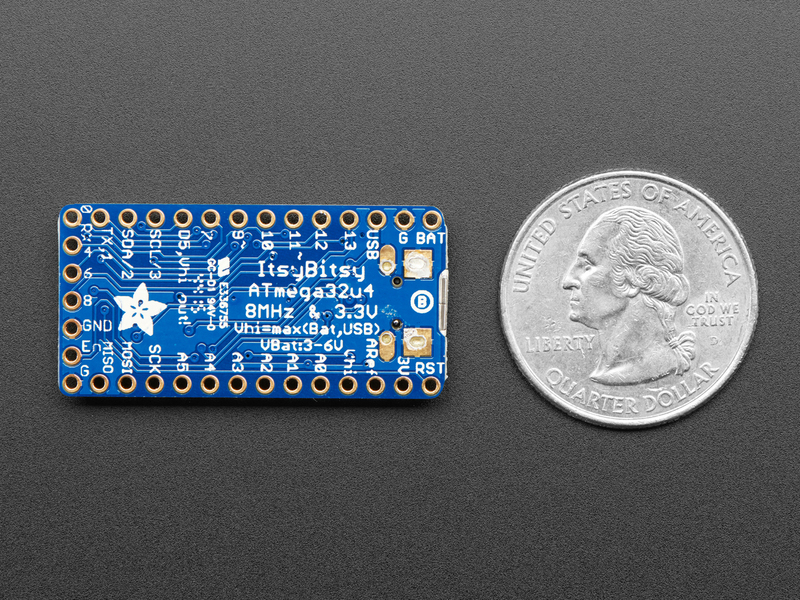 The Itsy Bitsy 32u4 3V 8MHz uses the Atmega32u4 chip, which is the same core chip in the Arduino Leonardo as well as the same chip we use in our Feather 32u4. 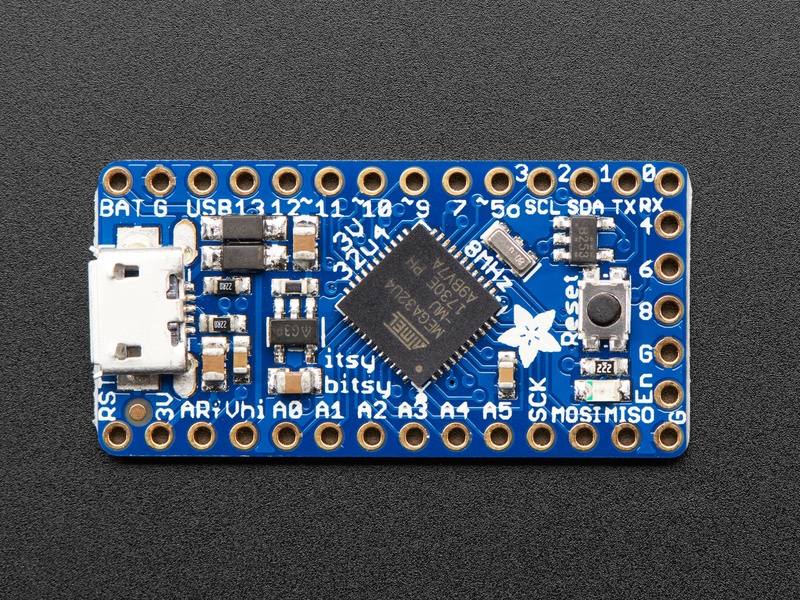 It even runs at the same voltage and speed as the Feather 32u4, so you'll be happy to hear that not only is Itsy Bitsy programmable using the Arduino IDE as you already set up, but a vast number of projects will work out of the box! We recommend this as an upgrade from the Pro Trinket 3V because this has native USB so it will work with all computers, USB serial debugging, and a more reliable bootloader. You can even use the Pro Trinket LiPo backpack with this board to add recharge-able battery.